One of 5 iconic colours that’s close to the heart of Chanel, Red has been chosen as the key shade of the French luxury house’s latest beauty pop-up that’s set to open on 17 October 2018 over at 72-13 Mohamed Sultan Road. First used back in 1924 when Mademoiselle Coco Chanel created her very first lipstick in an intense vermillion red, that hue has become a signature at the French luxury house today. 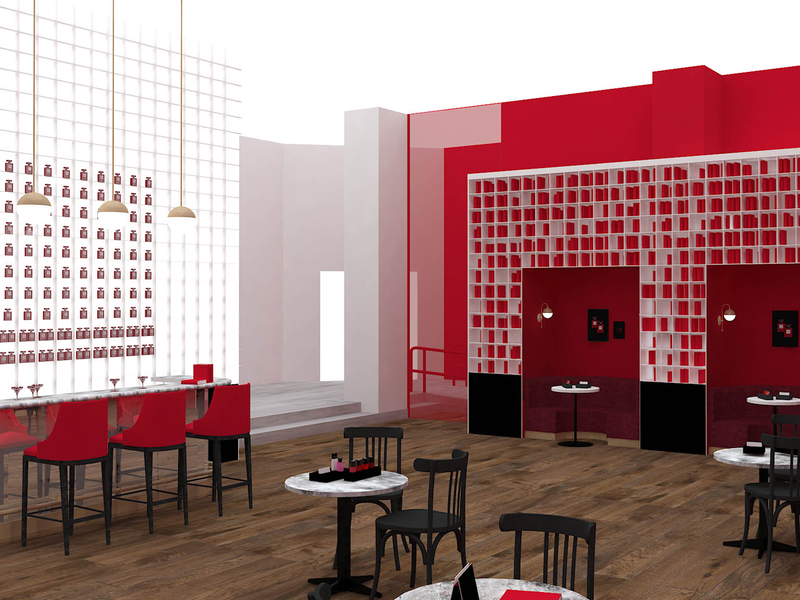 Known as the Le Rouge Beauty Pop-Up, the space pays homage to all things red and is also dedicated to unveiling what goes on behind-the-scenes of creating Chanel beauty products. 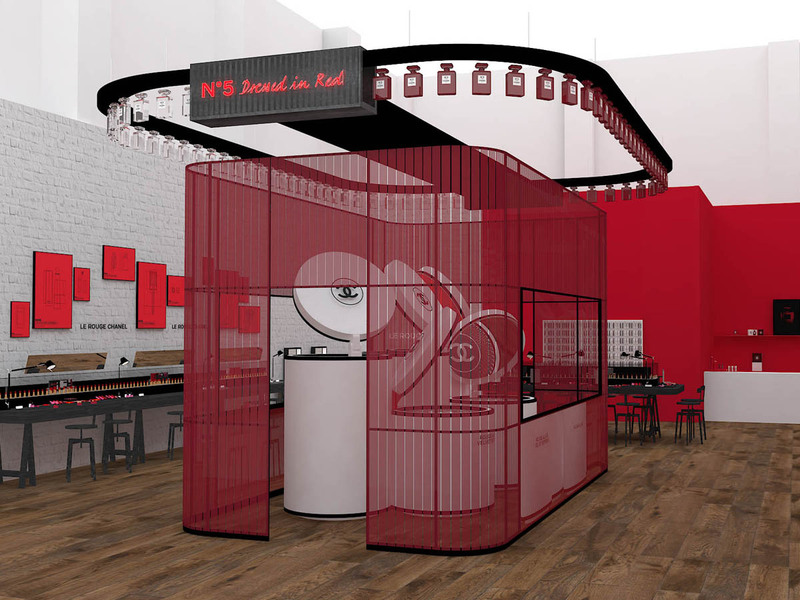 With 3 dedicated areas to keep you entertained, you start with Part One: Create, where you will find large industrial tanks that contain an array of lipsticks and nail polishes nestled within an acrylic red cage. Within, you will get an opportunity to try on all-new shades (6 each) of the Rouge Allure Velvet Extreme and Rouge Allure Liquid Powder that leaves a matte finish on the lips. Part Two: Encounter is all about the celebration of the limited-edition red N°5 . 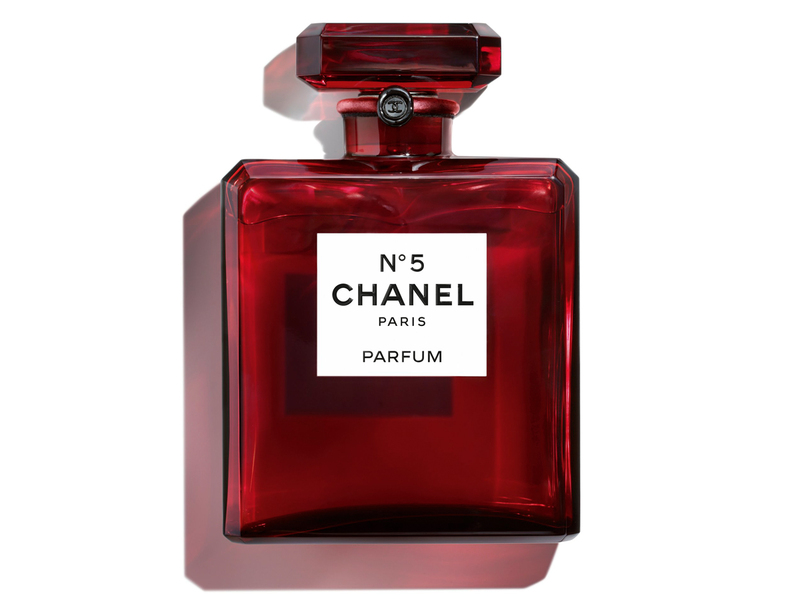 Enter the red corridor which immerses one within the bottle itself, an elongated passageway that leads toward a wall emblazoned with the CHANEL N°5, also the best spot for all your IG-worthy shots. The third and final area would be Part Three: Revel, a lounge that channels cosy bars found in luxurious hotels. The room carries an air of elegance and intimacy, with bartenders on hand serving specially concocted red cocktails – perfect for winding down after exploring the beauty pop-up from start to finish. Remember the crimson red bottles of N°5 L’Eau and N°5 Eau de Parfum which were posted here as a teaser a while ago? These exclusives, as well as the limited edition N°5 in the jaw-dropping Baccarat crystal bottle (900 ml), will also be available, with just 55 pieces worldwide. Excited already? Know that the #ChanelLeRougePopUp is open to the public from 17 to 21 October 2018 at 72-13 Mohamed Sultan Road, and to reserve yourself a priority entry slot, just make sure you hit this link to sign up. Who’s definitely going?